Metro contador electrónico prepago de energía, montaje sobre panel frontal, digital, trifásico.  Front panel mounted in 3 points for fixing, the appearance and dimensions are in accordance with Standards BS 7856 and DIN 43857. 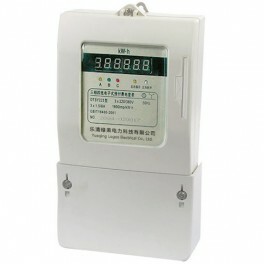  6 digits LED or 7 digits LCD display for option.  Can select one meter with one card and the card can be reloadable via the computer with an IC card programmer. 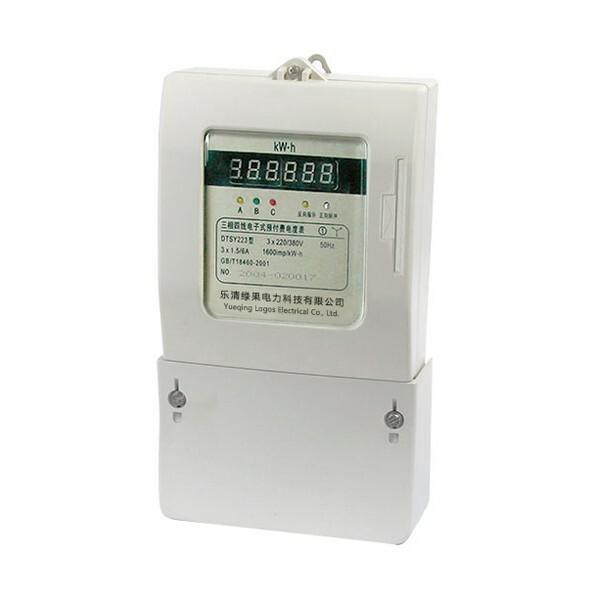  Can select the meter suitable for both reloadable IC card and disposable IC card. To load, please let both IC card programmer and the computer on line. It is also available to load via the separate offline IC card programmer.  Keypad IC card programmer and universal IC card programmer for option.  IC card is with data encryption and anti-fake protection.  Prepayment mode is by kWh. Another mode by credit is for option when ordering.  Standard configuration of prepayment management system software is a single computer version. Network version is for option when ordering.  Have the functions of load control, automatic detection and indication of fault. Standard configuration is without the detection function of opening terminal cover. When ordering, you can add the function: while opening terminal cover, the power will be cut.  Equipped with a polarity passive energy impulse output terminal, conforming to Standards IEC 62053-31 and DIN 43864.  LEDs indicate separately the power state on each phase, the energy impulse signal and load current flow direction.  Automatic detection for the load current flow direction. LED lighting of load current flow direction means reverse current flow.  Three elements measure the active energy consumption in one direction on three phase four wire, which is not related with the load current flow directio nat all, complying with Standards IEC 62053-21.  Direct connection and CT connection for option. The type of direct connection is type 16B. The type of CT connection is type 48B.  Can select the extended terminal cover or short terminal cover. Prestaciones de aislamiento: 4 kV tensión de CA durante 1 minuto, de forma de onda de tensión de 6 kV 1.2/50us impulso.